So, I’m home now. Landed this morning around 12:30AM and didn’t get home until almost 1:30AM. What. Where am I? What is going on? I woke up for about 5 minutes to kiss my children before they headed off to school and then collapsed back in bed until 10AM. Bill took Caleb for a walk to let me sleep. God, I love that man. I’m a little sick but we won’t get into that. It’s weakened me a bit and I have to go to the doctor to get a Z pack. But we all know that moms come last right? Maybe I will get there tomorrow. Hopefully. 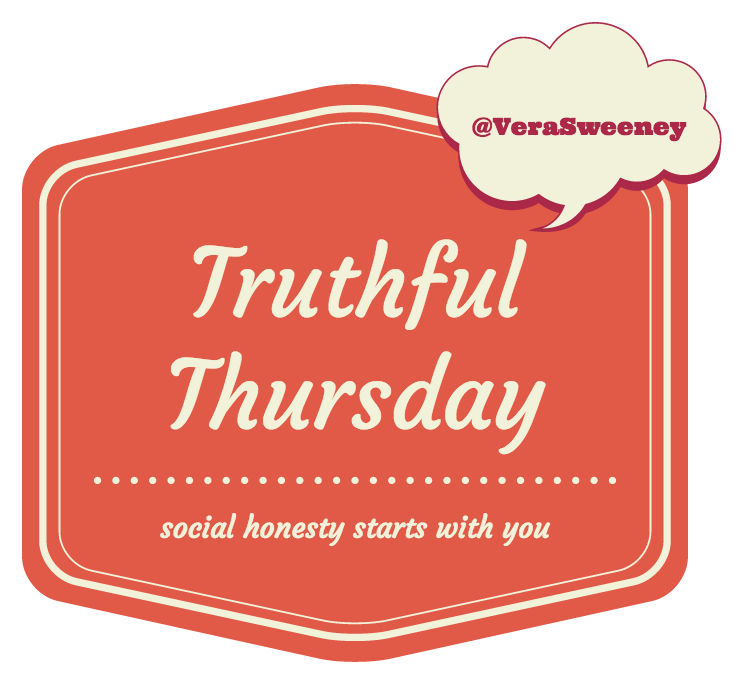 My Truth for this Thursday revolves around my health again. After having Caleb, my body has changed a bit. In the last week, I suffered from two serious allergic reactions – both of which caused my lungs to close up on me. The most recent time? Last night while flying home. I gasped for air for a good two hours on the plane – coughing and wheezing. I am sure everyone around me was cursing me because they must have thought I had a cold. But it wasn’t a cold. It was a breathing issue. I have a feeling it’s the Delta biscuits because I had a similar reaction once before after eating them and logged that in my mind as a “maybe” for allergic cause a while ago. Either way, I had no meds and no help and I didn’t want to tell anyone because if I did I feared that they would land the plane and I really wanted to get home. Once I was home, I crept into my bed and cuddled with my husband. I let him cocoon me and I finally felt safe. But then I thought to myself, why didn’t you tell anyone? What if something really bad happened? What if you really stopped breathing this time? Why are you not worth help? And that made me a little sad. If my children were wheezing and gasping for air, I would have rung for help right away – without question. But because it was me, I buried my face in my sweater and took short breathes for HOURS. Any deep inhale would send me into a fit of coughs. I just couldn’t inhale deep enough to really fill my belly. It was horrible. And I suffered it alone because it was me. What’s your truth this week? I’m always going, doing, I’m sure you understand. However this week my get up & go has gone away. I’m totally exhausted. There’s so much to be done, but I can’t even focus to begin.